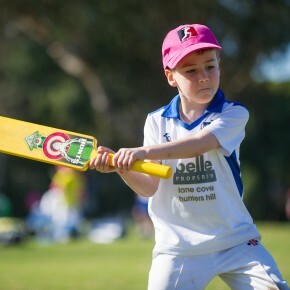 Elite Cricket runs programs for different age groups. 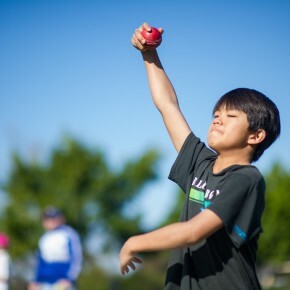 There may be some players who are suitable to participate in programs out of their age group and exceptions for advanced young players or older beginners can usually be accommodated but please call us to discuss. Yes. We welcome and encourage girls to all of Elite’s programs. This really goes without saying! We work on a ratio of 1 coach to 8-10 players. 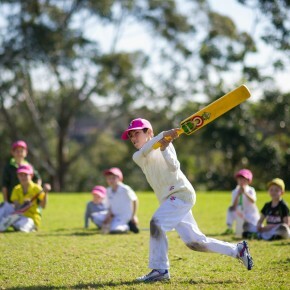 Do I need to playing cricket to come to a program? No. We welcome players of all ages and skill levels. Only for our advanced Academy’s would you need some playing experience. Are the players put into groups and can my child be grouped with friends? Players are grouped initially by age and according to the information on the program enrolment form. You are also asked to indicate any friends who are attending and as long as they are of similar age and ability will be grouped with their friends. Because of our small group sizes we usually have the flexibility to move players to different groups depending on their ability, but have found that ability within each group is usually diverse and that moving groups once we have started is unnecessary. However the players are instructed at the beginning of the program to speak to their coach and/or the program manager on the day if they are not happy or feel they belong in a different group. 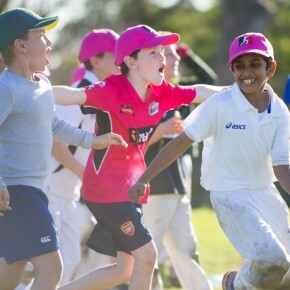 Cricket is an outdoor game and unfortunately as much as we’d like to, we can’t control the weather! Refunds will not be given if the program is cancelled due to the weather. If we change venues in an attempt to beat the weather, refunds or credit for future programs will be given to those wanting to take that option. 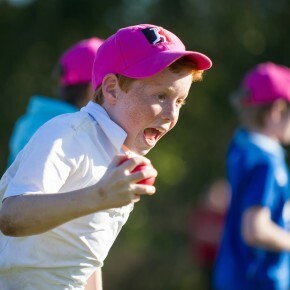 We know how disappointing it can be for players and parents when we have to occasionally cancel a program due to bad weather and in most cases as long as the ground remains open we shall endeavour to proceed. Sydney weather is very fickle and can quickly clear as the day goes on. Some of our venues have indoor facilities that allow for the program to run no matter what the outdoor conditions. If it’s raining lightly we ask you go to the venue. Please ensure your email details and phone numbers are correct on the enrolment form, as this is how we will contact you in the event of any change. Do you provide any food? No. Players should bring their food requirements for the day with them as there are no canteen facilities available at the venue. We provide drinks in the form of water and/or Gatorade but request your child brings a drink bottle filled with water. Can my child stay on after the Program has finished? No. We regret we cannot provide any supervision after a program has finished and we request you are prompt in collecting your child. If you are going to be late for any reason, please call Jason to advise your estimated time of arrival and we should be able to wait with your child until you arrive. 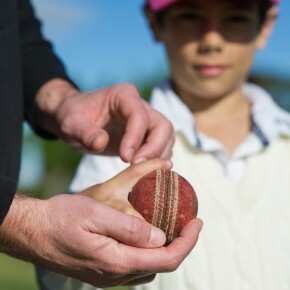 Does my child need to bring his own gear? No. We will have kits available in different sizes for all players. Your child is very welcome to bring his own equipment but please ensure it is clearly marked with their name. Comfortable sports wear is suggested with cricket clothing optional. We will be encouraging all players to wear hats, regularly reapply sunscreen and to keep hydrated throughout the day and would ask for your support with this. We understand that circumstances can change. Should you need to cancel we will be happy to refund the enrolment fee in full with a minimum of 7 days notice prior to the scheduled program. For cancellations within 7 days we will credit the full amount paid toward another program throughout the year. Can my child come for only one day? No. Unless it is a one day program, to gain the most benefit from the coaching we prefer all players to complete the whole program. What if I don’t want my child to be photographed or any footage taken? 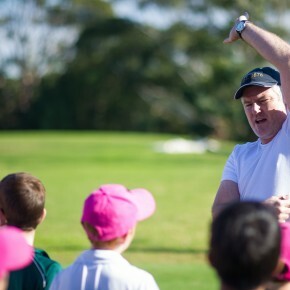 Private Individual Coaching has 3 different coaching options: 1:1, 2:1 and group sessions for 3 kids. It is an intensive expert coaching program for individuals and groups of players of all ages and experience that focuses on acquiring and mastering critical technical and game sense skills to optimise performance. How many sessions do I have to book? Monday afternoon, Tuesday afternoon, Wednesday afternoon, Friday afternoon and Sunday mornings. Can I book for Saturday? If you would like to discuss coaching on a Saturday, please contact us to discuss this option. We can come out to you at a cricketing venue but there will an extra travel charge. 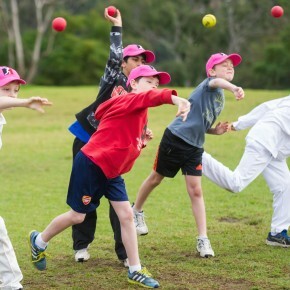 You will need to bring your cricket gear, particularly protective equipment such as thigh pad, helmet, box, pads etc. Bowlers need no equipment. Jason Krejza oversees almost all of the sessions throughout the year. 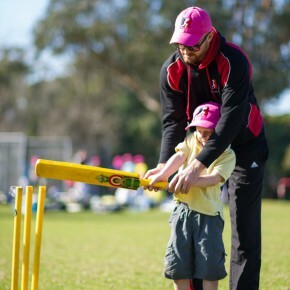 All our coaches are mentored by Jason and he hand selects all the coaches who work for Elite Cricket. Jason educates them to coach all players with the Elite Cricket philosophy in mind. This ensures a consistent coaching method throughout.